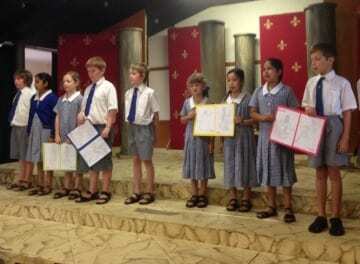 Ficino School Good Works Assembly on Friday 6 March 2015 featured a variety of the excellent work Classes 2, 4, 6 and 8 have been undertaking this term. 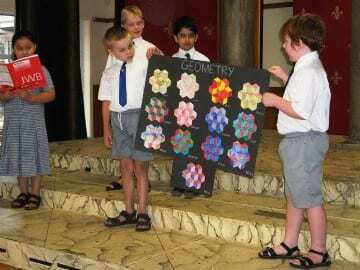 Included in the presentation to parents and fellow students was beautiful artwork from Class 2, who created an interesting poster of 3-D Geometry and pencil sketches of Greek Gods from the talented artists in Class 4. 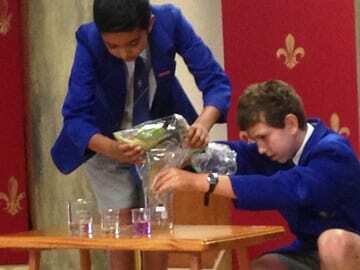 Class 6 exhibited their public speaking skills by presenting recitations and students from Class 8 carried out a Science experiment for the whole school to observe. 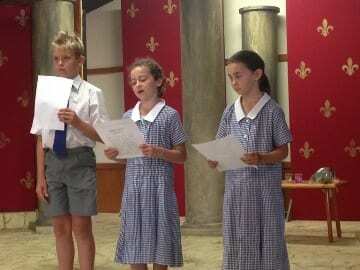 We look forward to the next Good Works Assembly which will take place in Term 2 on Friday 15 May.